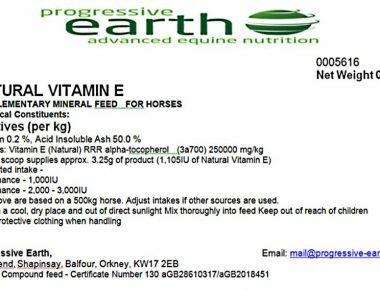 Equine vitamins - Progressive Earth Ltd.
We offer a range of individual vitamins for a targeted approach to balancing your forage after having your forage analysed. 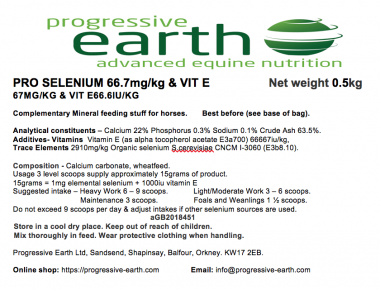 You could also check out our Balancer’s section for combined solutions to your equine’s vitamin needs. 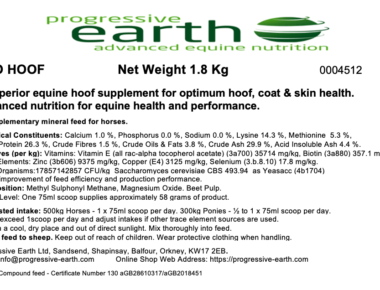 PRO BIOTIN – New, improved super strength equine biotin for healthy hooves. 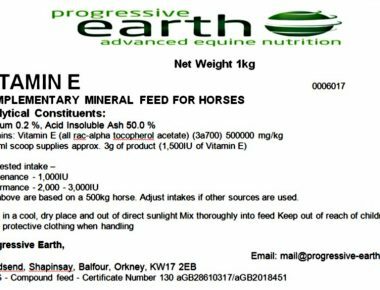 VITAMIN E (Synthetic) – Powerful antioxidant (all rac-alpha tocepherol acetate E3a700). 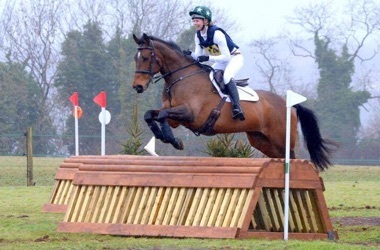 Immune system support for horses and other equines. 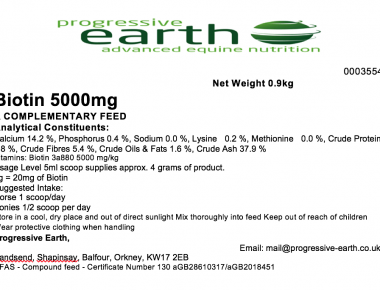 VITAMIN E (NATURAL) – RRR alpha-tocopherol. 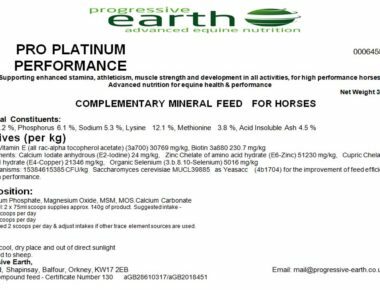 Equine immune system support, muscle health, nerve function, oxidative stress, performance. 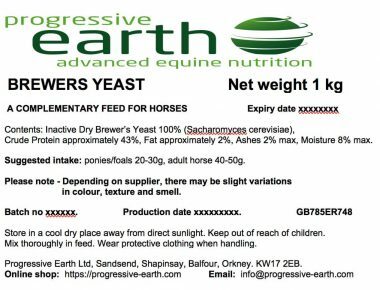 Superior bio-availability.